Pastry chefs Marc Aumont and Ron Paprocki each create signature bonbons and bars with a nod to New York City. 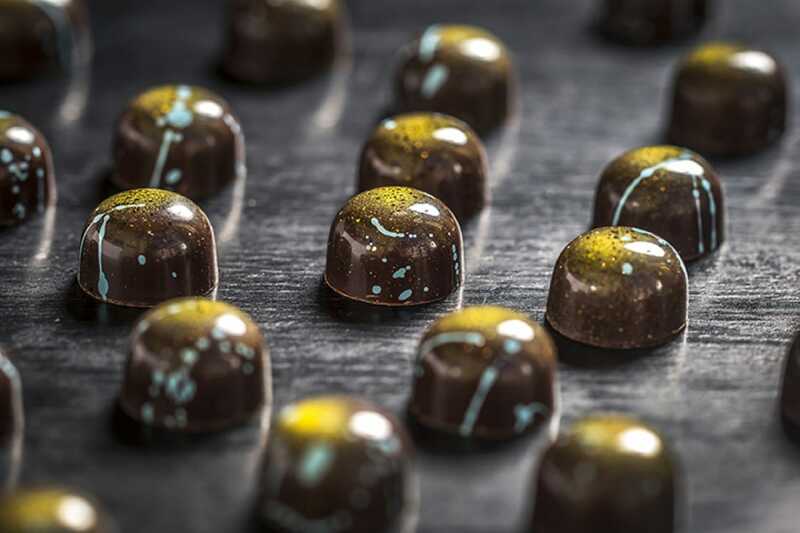 “When we make a bonbon we want to tell you a story, create a feeling,” says Marc Aumont, pastry chef at Manhattan’s Gabriel Kreuther, and chocolatier-in-residence at Kreuther Handcrafted Chocolate, the beguiling confectionary boutique attached to the restaurant. Located across the street from bustling Bryant Park, “where we are surrounded by every culture, every cuisine,” it is the city itself that often provides inspiration for Aumont’s complex, multi-layered chocolate “stories,” like the mango/aleppo/passionfruit recalling the Mexican popsicles sold by street vendors. Similarly, paying homage to New York has always been part of the DNA at the 34-year-old Gotham Bar and Grill down in Greenwich Village, where pastry chef Ron Paprocki and managing partner Bret Csencsitz have developed an alluring line of bonbons and artfully wrapped chocolate bars. “In honor of our hometown,” Paprocki explains, “we named each bar after a strand in the New York personality: wild, intense, elegant, decadent, graceful and above all, independent.” The colorful graphic designs channel mid-20th century abstract expressionist artists like Ellsworth Kelly and Frank Stella whose works have been on loan at the restaurant. In addition to being Big Apple boosters, both pastry chefs share a passion for cacao, the ingredient they most admire for its complexity and challenges. They had been making bonbons at their respective restaurants for many years, offered as a treat for diners at the end of the meal. But that just wasn’t enough for these Fruit of the Gods devotees. 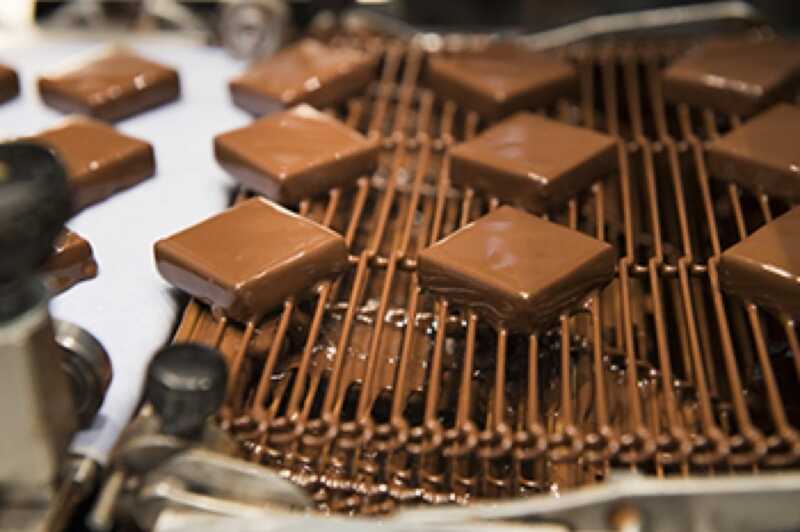 In the past three years, each has launched a successful restaurant-related chocolate enterprise, garnering plaudits and adding luster to their establishments. However, the similarities end there. The chefs come from totally different backgrounds and training—Aumont lived above his father’s chocolate shop in France, Paprocki started as a landscaper in Rochester, New York—and their confectionary operations are equally varied. For Aumont, who had long fantasized about having a shop, it was a lucky break that a space adjacent to Gabriel Kreuther became vacant just months after the restaurant opened in 2015. He and Kreuther jumped at the opportunity. They designed a sparkling, soaring space where passersby can watch chocolatiers at work in a glass-enclosed kitchen and select from a handsome array of seasonal bonbons, macaróns and pastries, sold by the piece or in boxes. Customers who want to linger and indulge on the spot can enjoy their sweets with coffee or ice cream at small café tables. For Paprocki, the right theme and moment to launch Gotham Chocolates was Valentine’s Day in 2015, with bonbons made in the restaurant’s basement kitchen. “We thought we’d sell maybe 40 or 50 boxes,” notes Csencsitz, “but to our surprise, we ended up selling 500. We were really excited about it.” With no additional space available, they commandeered a corridor formerly used for dry goods storage, installed simple chocolate making equipment, a sink, air conditioner and curtains, and created a chocolate lab. They sourced top notch ingredients—custom blended chocolate from the highly-respected Swiss firm Felchlin, fresh mint from the nearby Union Square Greenmarket to infuse with cream and almond oil from Paprocki’s inventory of artisanal provisions. Unlike many of his colleagues who attended American culinary schools or trained in France, Paprocki’s was a winding road to confectionary. While Aumont was absorbing his father’s craft, Paprocki’s dad was leading his son on long walks in the woods learning to identify leaves and branches, a path that eventually led to a 10-year career as a residential landscape designer. 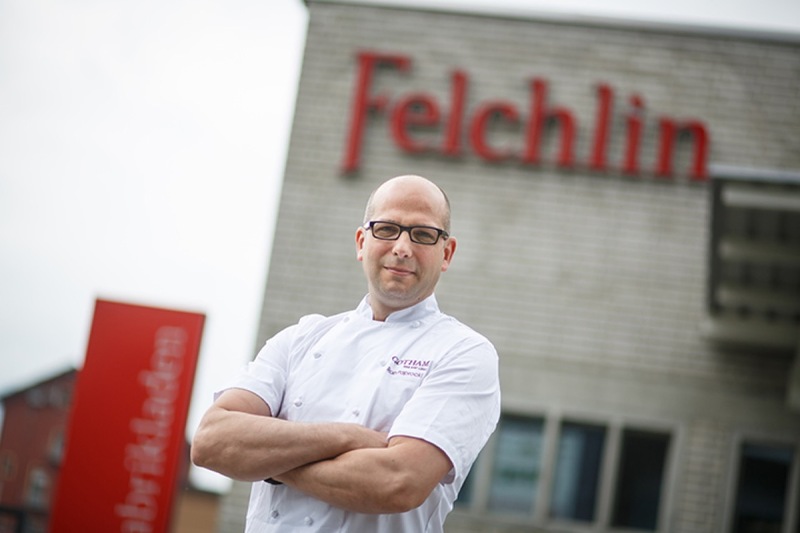 But a childhood love of baking prevailed, and in 1999 Paprocki headed to Germany for culinary studies at the Elizabeth-Knipping Schule in Kassel and an apprenticeship at Café Alheit. After a rigorous five years of formal training, he moved to New York, starting as baker and pastry chef at the popular Financier Patisserie in lower Manhattan. Eventually realizing he preferred the rush of service at a restaurant to the routine of a shop, Paprocki joined Gordon Ramsay at The London New York, running the pastry program and winning praise for the imaginative bonbons on his rolling cart. At Gotham, Paprocki complements chef Alfred Portale’s market-driven menu with seasonal desserts. He handily switches toques between his pastry kitchen and the chocolate lab, offering a tray of splendid bonbons on the dessert menu from a repertoire of over four dozen flavor pairings like lemon olive oil, white chocolate pistachio ganache, and Taittinger Rosé Champagne. Initially, Gotham Chocolates were available only at the restaurant, but as word spread, bars and new bonbon collections like Holiday Spirits have been snapped up for local and national distribution; some 1,000 boxes were shipped to a department store in Japan on Valentine’s Day. Despite the cramped quarters and no prospects of finding a store nearby, Gotham Chocolates is flourishing, and the same is true at Gabriel Kreuther Handcrafted Chocolate where an enticing website beckons online shoppers who may be tempted by the Ambrosial Collection, featuring Aumont’s signature saffron honey bonbon. Hero image courtesy of Gotham Bar and Grill. 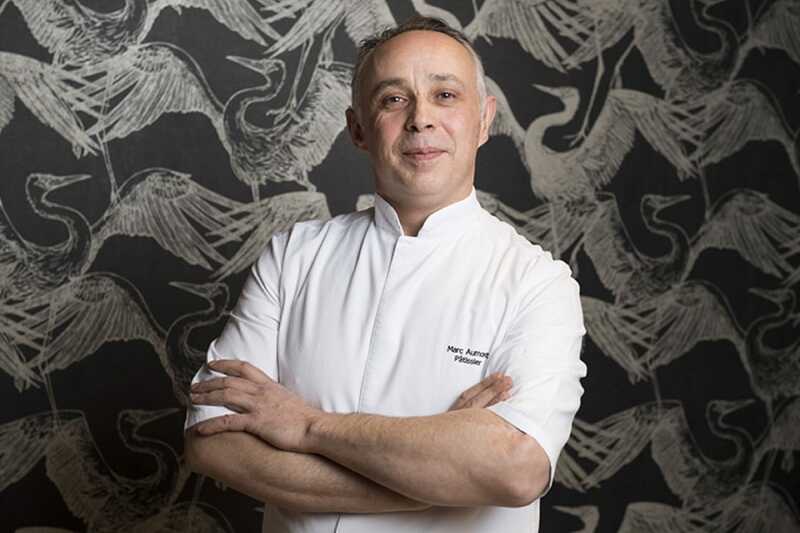 In an exclusive interview in Asia, one of the most talked-about pâtissiers, Cédric Grolet, discusses what lies behind his visually-stunning confections.